Well, I wrote about this subject almost two years ago, when I got my first external audio interface: Audio Kontrol 1. I still have it, and it works great. But, this summer I decided to buy a new one for my vocal recordings. 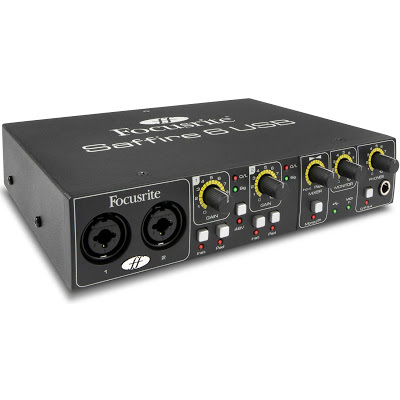 So, after reading a lot about soundcards, audio interfaces, audio interfaces reviews and users experiences, I decided to go with Focusrite Saffire 6 USB Audio Interface. It has 4.5/5 stars on Amazon (probably the best reviews out there), it’s very reliable and easy to set up. This audio interface can be the center of your home studio setup.